this jell-o is my mom’s specialty (it’s the only dish she doesn’t burn. j/k mom! ). i have been eating this since i was little. and it’s been awhile since i have made it because i never think of making jello. and because if you have been reading my blog, you know i have a problem of planning dinner ahead. so jello is not usually on the menu. but i have been craving it lately, and figured it is a perfect side dish for february meal’s. being red with red hots and all. and really, it’s great all year round. so i suggest you make it at least once. and btw, i may be a bad cook (inherited) but Jell-O really doesn’t count. you can’t mess this one up. it’s really good. you can adjust the ingredients to your liking. more or less red hots or applesauce. 1) bring two cups of water to a boil. add Jell-o and red hots. 2) stir until Jell-o and red hots are completely dissolved. 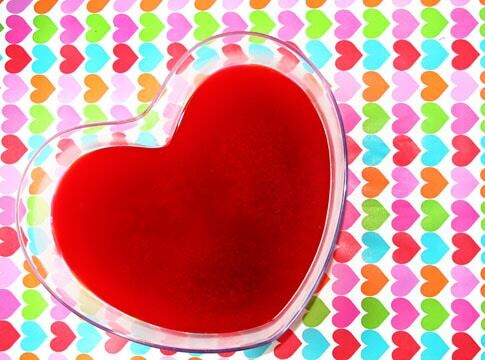 4) pour into a mold, dish or dishes and refrigerate until Jell-o is set. I’m so doing this for my sister’s birthday! It’s in valentine day! Might just have to make this! Been a long while since I had Jell-O.